After the skimping out by painting the Battleguard and Stone Golems I wanted to practice painting some miniatures that had a lot of details. 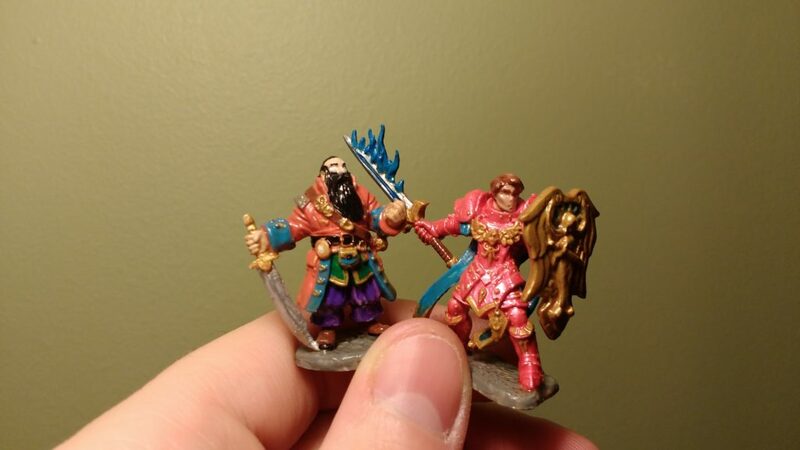 I decided to go with Barnabus Frost and Almaran the Gold from the original Bones Kickstarter. I can’t say that I was pleased with how either turned out. For both miniatures I was happy with many of the details but something overarching felt off about the finished products. Something more than the lack of proper eyes. I liked the idea of a knight in red wielding blue flame but I would have been much happier if the armor had come out a shade or two darker. 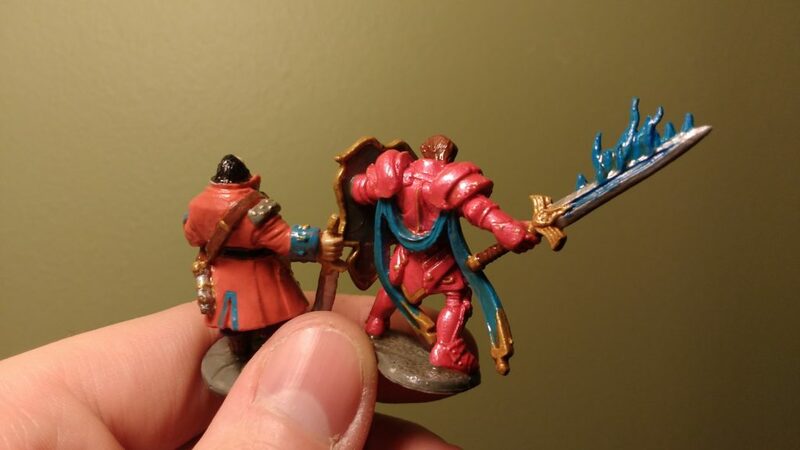 This was an instance where the DIP Method failed to darken a model as much as I had wanted. As for the pirate, the big problem is this vague sense of top heaviness that I can’t shake. All that aside, both miniatures made great practice for detailing and I came away with a lot of good experience on that front.